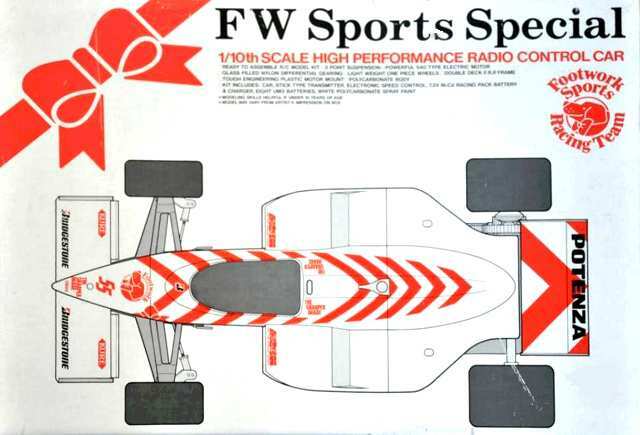 92001 • Tamiya FW Sports Special • (Radio Controlled Model Archive) • RCScrapyard. 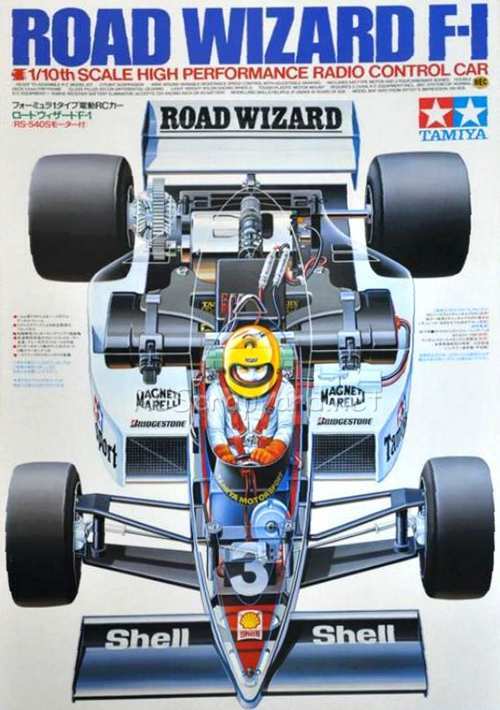 Released by Tamiya on November 10, 1987, the Road Wizard Footworks Sports Special Complete Package (#92001) was a Limited Edition, complete with Futaba Attack FP-2NBL radio system, MC112B ESC, two bodyshells and 3 sets of decals. 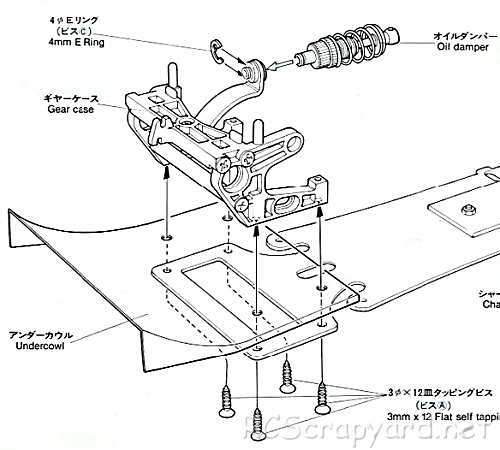 The Road Wizard is based on an FRP plate chassis with the "T-Bar" cut into the chassis to allow rear flexure and came with a gear type differential, coil spring over oil filled damper and bushings. The model comes with Plastic bush type bearings, that after a short while, when dust and grit get into them, can actually wear into the metal drive shafts that spin in them - our recommendation is that these should be replaced by a full set of steel shielded ball bearings ASAP.